Color Name, Yarn Name, etc. If searching for a term with multiple words, wrap it within quotes. 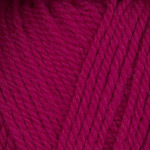 Encore Chunky Color 1385 Bright Fuschia by Plymouth Yarn is a favorite yarn for all your knit and crochet projects and is machine washable.